Daikin and is pleased to supply you with the following product information …. A Daikin Multi-Split air conditioning system can air-condition from two to seven rooms using only one outdoor unit. Multi-Split air conditioner systems are ideal for situations where there is limited space for outdoor units or insufficient ceiling space for ducting. Daikin Multi-Split air conditioners accommodate individual control of the air-conditioning room. This not only optimises comfort but saves on running costs as wastage is eliminated by only conditioning rooms as and when required. On top of the savings generated from the flexibility of Daikin’s Multi-Split system, further cost reductions are achieved from the energy efficient benefits of Daikin’s Inverter Technology. Daikin Multi-Split systems are available in Reverse Cycle and Cool Only models. 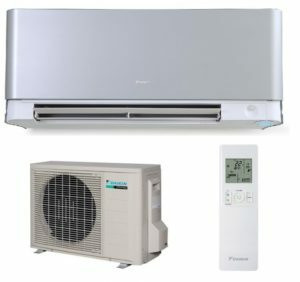 The SUPER MULTI range can air condition up to 4 rooms. The SUPER MULTI PLUS range can air condition up to 7 rooms. All Daikin ducted air conditioners have a 5 year parts and labour warranty.